RoboCup 2018, Montreal/Kanada. 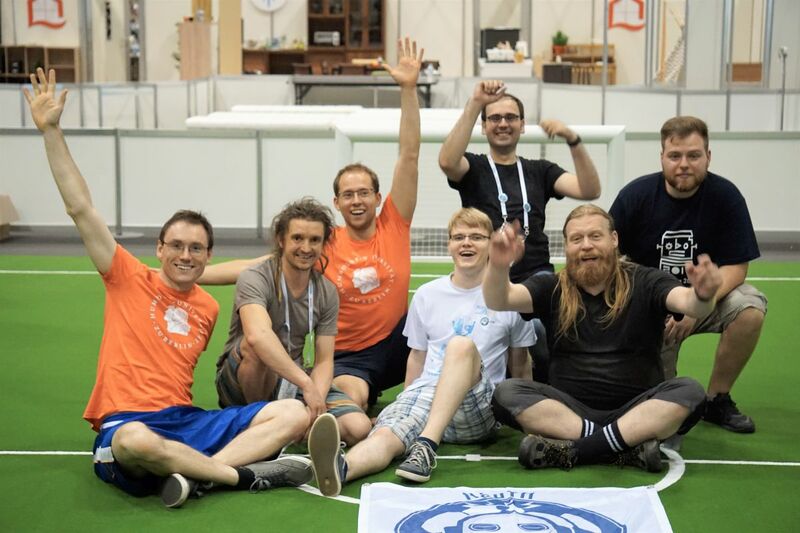 From left to right: Yigit Can Akcay, Markus Daniel Mayer, Heinrich Mellmann (bottom), Robert Martin, Benjamin Schlotter, Claas-Norman Ritter, Etienne Couque-Castelnovo, Philipp Strobel (bottom), Thomas Krause, Sebastian Allmeier, Steffen Kaden. RoboCup 2017, Nagoya/Japan. 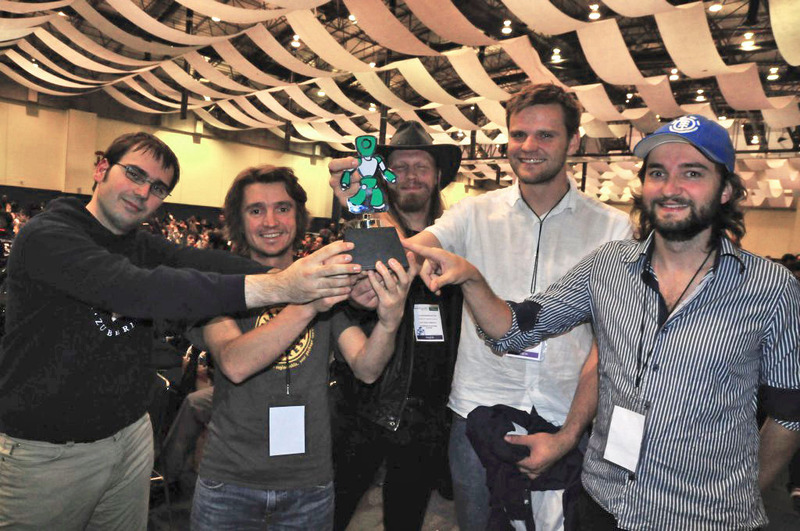 From left to right: Philipp Strobel, Heinrich Mellmann, Steffen Kaden, Robert Martin, Thomas Krause, Claas-Norman Ritter, Yigit Can Akcay. 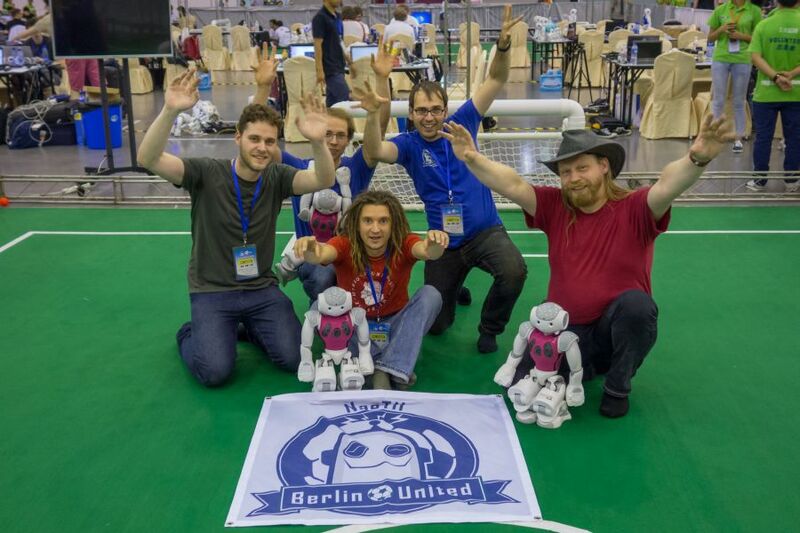 Our Team at the RoboCup 2015, Hefei/China. From left to right: Christian Blum, Steffen Kaden, Heinrich Mellmann, Thomas Krause, Claas-Norman Ritter. 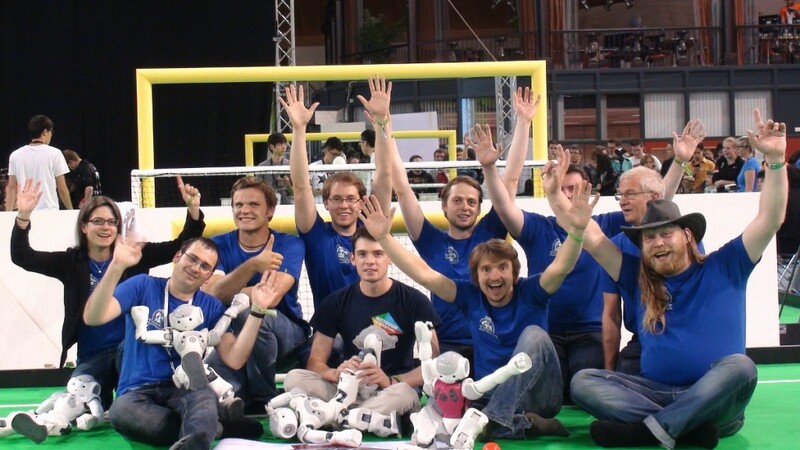 RoboCup 2013, Eindhoven/Netherlands. From left to right: Prof. Dr. Verena Hafner, Thomas Krause, Marcus Scheunemann, Steffen Kaden, Denis Erfurt, Peter Woltersdorf, Heinrich Mellmann, Tobias Hübner, Prof. Dr. Hans-Dieter Burkhard. RoboCup 2012, Mexico City/Mexico. From left to right: Thomas Krause, Heinrich Mellmann, Claas-Norman Ritter, Marcus Scheunemann, Paul Schütte. We are looking for committed, passionate people to be members of our team. Join us NOW! 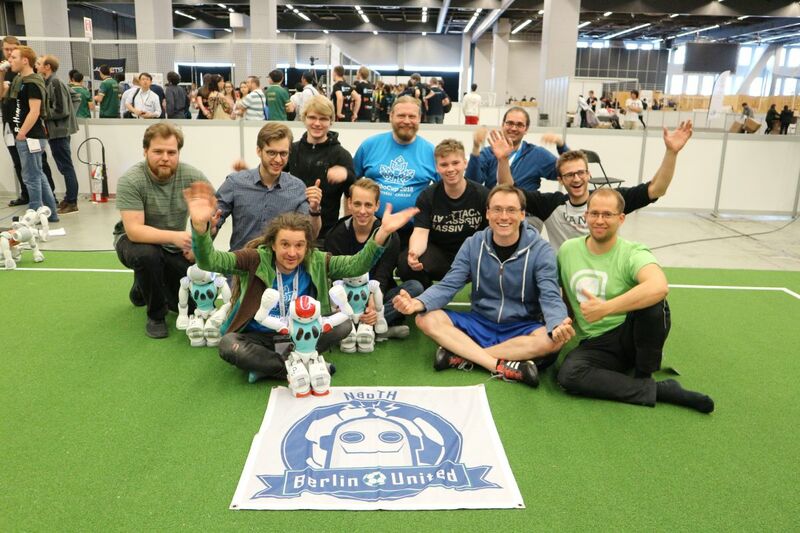 The NaoTeam Humboldt participates at the international competitions of RoboCup which encourage the comparison and exchange of creative ideas. 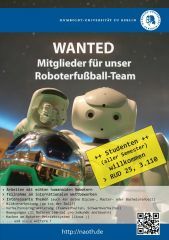 They are organized by the RoboCup Federation and are supported by the national committees. 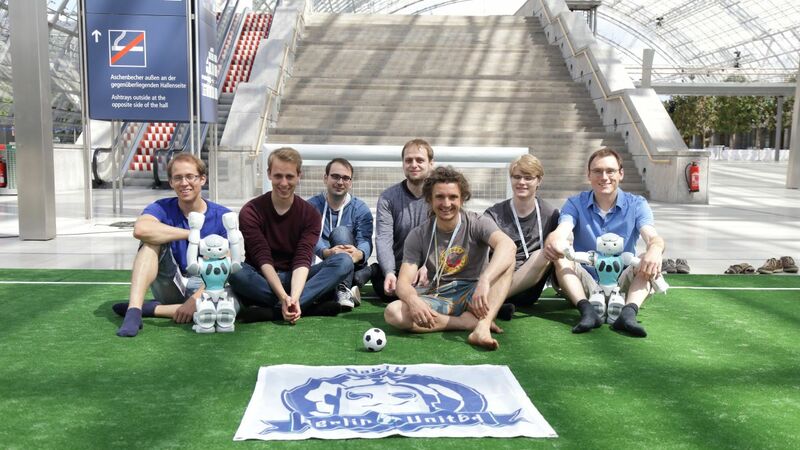 We are a project of the Artifical Intelligence Group at the Humboldt University Berlin.